Revamped line-up deliver the goods on 11th album. In a way, Slayer are America’s Motörhead, relentless in depicting their vision, untouched by external influences, somehow inimitable. Increasingly, their catalogue can only be judged against itself. This singularity is especially important here, on their 11th studio album, for much has changed. Drummer Dave Lombardo left in 2013, founding guitarist Jeff Hanneman died a few months later and the band departed American Recordings, a label they had been with, in some shape or form, since their breakthrough album Reign In Blood in 1986. 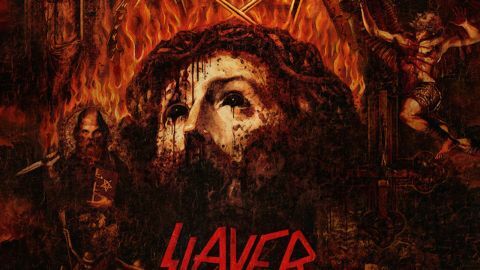 That Repentless is coherent and persuasively powerful is a tribute to the identity of the band. Paul Bostaph, replacing Lombardo for the second time, is outstanding in the percussive fury he brings to the title track and Take Control, while the wonderful Chasing Death has the same weird swing that characterised songs like South Of Heaven and Seasons In The Abyss. There’s some of the dark, gothic grandeur of the early records in When The Stillness Comes, and Tom Araya can still raise a chill as he screams, ‘The last thing you see is my eyes!’ – an echo here of the horrors of Dead Skin Mask.